Excited to share another fall-friendly look with you guys today! I'm all about casual cool for my latest post, anddddd like my last blast, I'm wearing Stitch Fix from head to toe, ha. Don't judge me, guys. Their clothing's just too freakin' cute. Anywho, I centered my latest around a blue/gray color scheme! 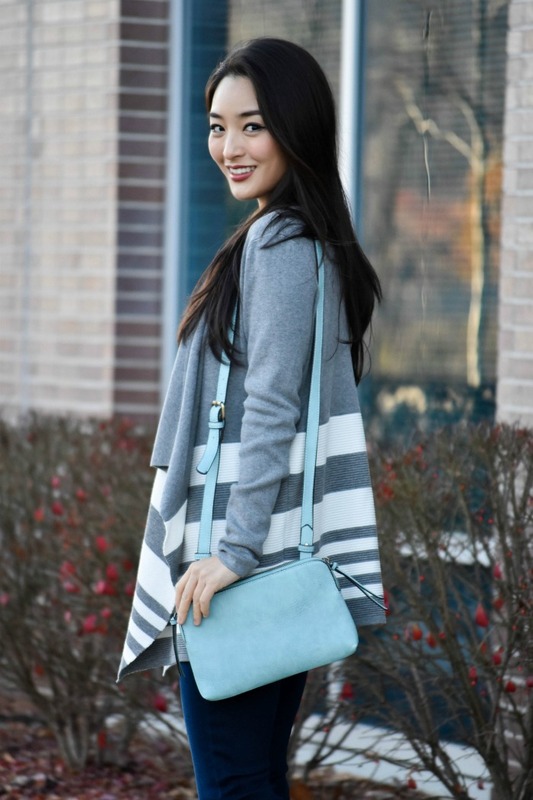 I started with a simple striped shirt and threw on a drape cardigan to match. I thought about wearing gray pants, but decided to keep things more casual with jeans. What do you guys wear to run errands? How do you execute casual on the regular? My feeble attempt at twirling! This was totally weaksauce. I promise to step my game up next time, ha. very cute and cosy look !